• 100 Years of the Brothers’ Continuous Presence in Louisiana. • 150 Years Since the Brothers’ Arrival in San Francisco. • 300 Years Since Saint John Baptist de La Salle’s Entry into Eternal Life. All Lasallians are invited to share in the celebration of the Brothers’ achievements in Louisiana and California, the ongoing work of the Brothers and our Partners in our District, and our unity in mission with the worldwide Institute. In 1856, San Francisco Archbishop Joseph Alemany asked the Brothers to staff his new Saint Mary’s College in San Francisco. Busy establishing new communities and ministries in the eastern United States, it would be 12 years before the Brothers would be able to accept his invitation. 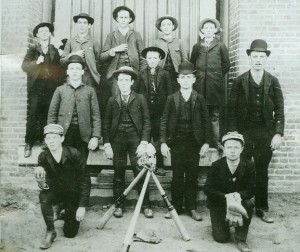 On August 10, 1868, eight Brothers sailed into San Francisco Bay and then made the five-mile trip to Saint Mary’s College, where they accepted the keys and the responsibility for the school. It was the beginning of the Brothers’ presence in the west, and of the then District of San Francisco. Today, Saint Mary’s College of California thrives in Moraga, along with other Pacific Coast apostolates that would eventually spring up in the state, as well as in Oregon, Washington, Arizona, and Ciudad Tijuana in Mexico. After being forced to withdraw from Louisiana in the late 1800s due to financial hardships and a yellow fever epidemic, the Brothers returned to the state in 1918 by way of two new apostolates. 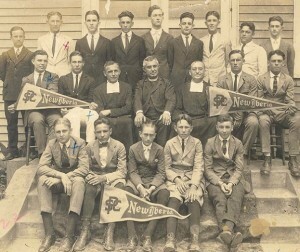 They assumed ownership of Saint Paul’s School in Covington, a town across Lake Ponchartrain from New Orleans, and they opened Saint Peter’s College in New Iberia, 130 miles west of New Orleans. Today in Louisiana, the Brothers continue to conduct Saint Paul’s School, as well as Christian Brothers School and De La Salle High School, both in New Orleans, and Archbishop Rummel High School in nearby Metairie. The Brothers’ return also would help lead, in 1925, to the founding of the then District of New Orleans-Santa Fe, with additional apostolates in New Mexico, Colorado, and Texas. 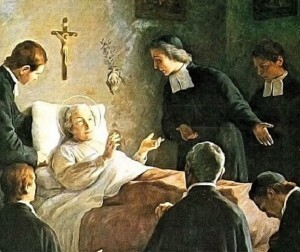 In 1719, John Baptist de La Salle was 67 years old and in failing health. The Founder was living outside of Rouen, France at St. Yon, a property that served as the center of his young Order of Brothers of the Christian Schools. As Easter approached, it became apparent that the Founder was dying. During Holy Week, he received the sacraments of Viaticum and Extreme Unction and, at the request of the Superior, Brother Bartholomew, blessed him and all the members of the Order. • SFNO New Orleans Celebration News Release. • Clarion Herald New Orleans Celebration story. • New Orleans Magazine New Orleans Celebration story. • Christian Brothers Conference 300th Anniversary Resource Page. • 300th Anniversary Message from Superior General. • Lasallian Jubilee Year Announcement from Superior General. • Lasallian Resource Center website.